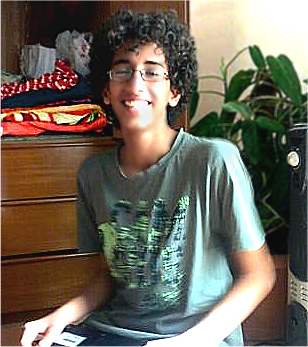 Abdulrahman Al-Aulaqi (Awlaki, or Al-Awlaki) was a 16-year-old American kid assassinated by drone missile on 14 Oct. 2011, just 15 days after his 40-yr-old American father Sheikh Anwar al-Awlaki was similarly eradicated. No court oversaw the orders for their termination, and no U.S. judicial review has either justified or condemned the extrajudicial killings. Supposedly, US President Barack Obama was in ultimate control over these executions. America has gone to the ends of the earth to interfere with dangerous people; our military occupies their faraway lands. These forces should come home - as promised by Trump. In this case, the father was sheltering with his extended family in the Awalik / Awalek tribal region of Yemen. How might the tribe retaliate? The tribal anthem was quoted by The Wall Street Journal as: "We are the sparks of Hell; whomever interferes with us will be burned." 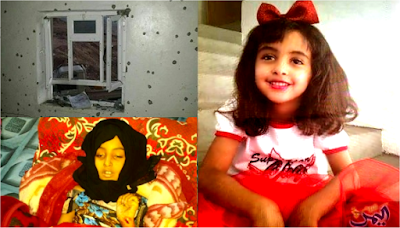 PS - It's been reported on 29 January 2017 that the first US combat death of the Trump administration came in an action against members of this Al-Awlaki family; 30+ others died in the battle, including 8-year old Nora, daughter of the late American Anwar al-Awlaki (the below dead boy Abdulrahman's younger sister). Nora, age 8. Shot in the neck by Seal Team 6, she bled-out after 2 hours.